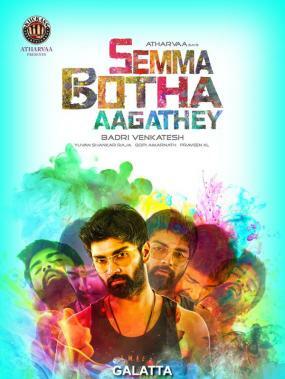 Initially announced to be coming out on May 18, Atharvaa’s trippy comedy thriller, Semma Botha Aagathey, was then shifted to hit screens a week later on May 25 before being postponed indefinitely. Directed by Badri Venkatesh under Atharvaa’s Kiickass Entertainment banner with music by Yuvan Shankar Raja, the film features Mishti Chakraborty and Anaika Soti as the female leads. Meanwhile, the makers have now made an announcement on a new release date with the film all set to come out on June 29. The expectations for Semma Botha Aagathey shot up after the trailer for the film came out recently.